The Preservation Microfilming Department here at the Clarke has recently completed two important local projects – preserving and digitizing over 100 years of The Clare Sentinel (1896-1999) and almost 80 years of CM Life, stretching all the way back to 1919, when the newspaper was titled Central Normal Life. 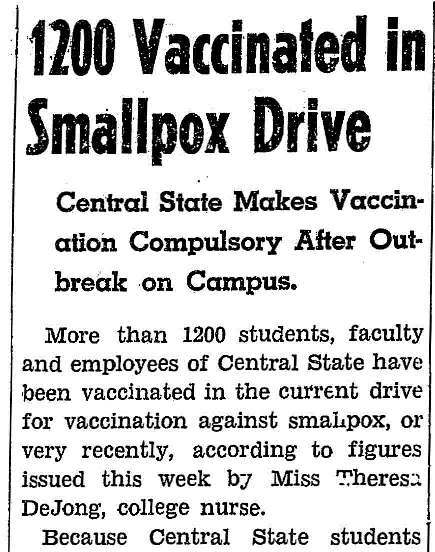 Some finds were important, such as the articles about small pox vaccination on the front pages of the February 8th (p. 1, col. 5) and 22nd (p. 6, col. 3), 1939 issues of Central State Life (another title by which CM Life was called (1927-41)). 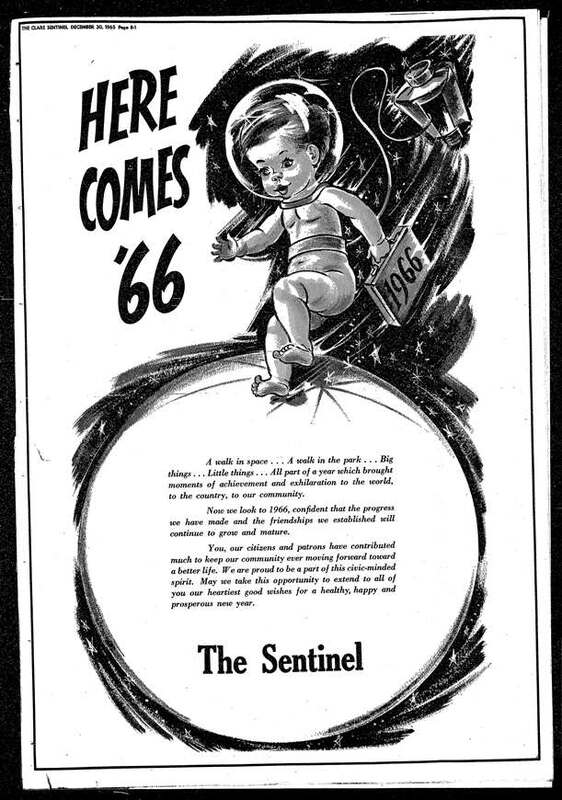 Some were quirky, like this issue from December 30th, 1965 in The Clare Sentinel, which contained a depiction of a baby in astronaut gear on page 9, allegorically symbolizing the turning of the New Year and commemorating the first spacewalk completed by a U.S. Citizen on June 3, 1965. 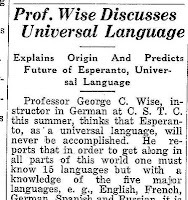 Central State Life had its own quirky stories of the professor who spoke about the “universal language” known as Esperanto in 1930, as the August 6th article describes on page 2, column 4. 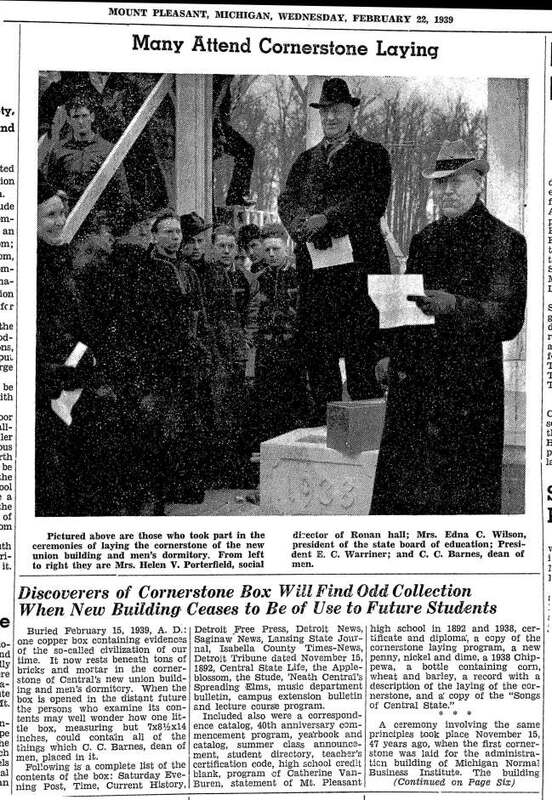 Then there were the articles that gave us some historical perspective, such as the Central State Life front page discovery and re-concealment of the “cornerstone box” during construction in 1939, in the February 22nd (p.1, col. 2-4) issue. 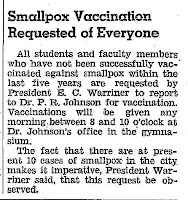 The box was a time capsule from decades before. 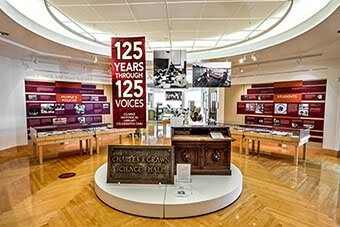 Following tradition, it was replaced with contemporary objects, meant to be found again in the future. 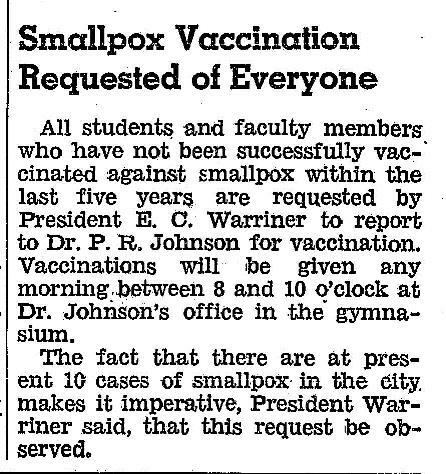 Even greater perspective was found in 1930. 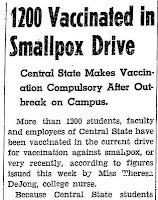 This January 15th (p. 2, col. 1-2) article exalts state support for student tuition with the claim that an education at Central was “[i]nexpensive, but not cheap.” The article explained that while the school charged a mere $279 per year for student tuition, the state was absorbing $270 worth. 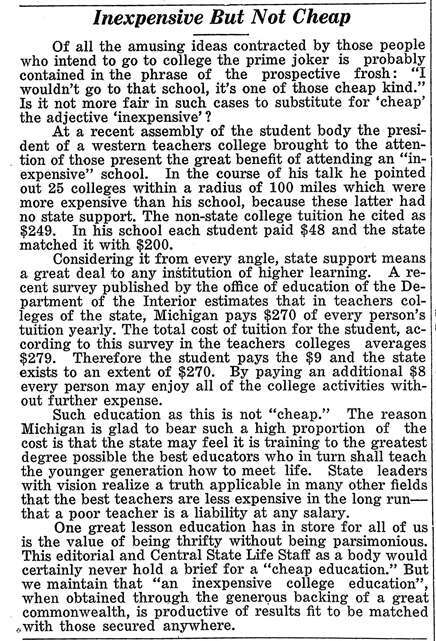 Because the state was “glad to bear such a high proportion of the cost” the bottom line for students was $9. Taking inflation into consideration, that’s $125 per year in 2013. 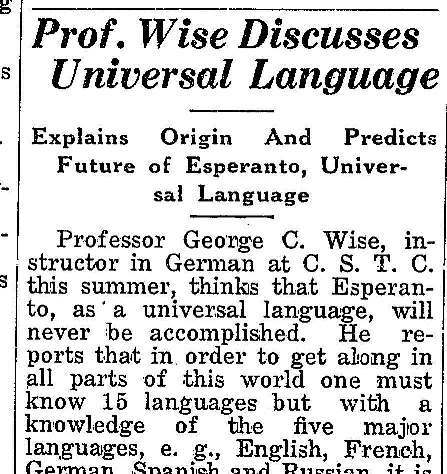 Finally, there are fun cultural artifacts that can often be found in advertisements in the newspapers. 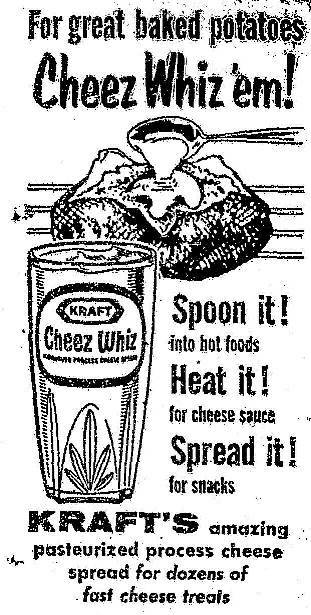 For instance, in the September 19th, 1963 issue of The Clare Sentinel, (p.9, col. 1), there was a Cheez WhizTM ad suggesting how to use it with a baked potato. Today, there are several brands and styles of processed cheese sauces, but the narrow, tapered Cheez WhizTM jar seen in this 50-year-old ad was the original.